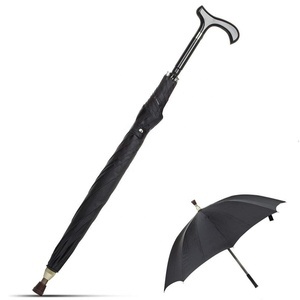 DM8000 NAME Reverse umbrella SIZE 23inch(58.5cm)*8K DETAILS 190T Pongee,Fiberglass Frame and shaft,plastic handle MOQ 200pcs PACKING 1 pc/opp bag 30pcs/CTN, carton size : 83*27*27cm View More ITEM NO. 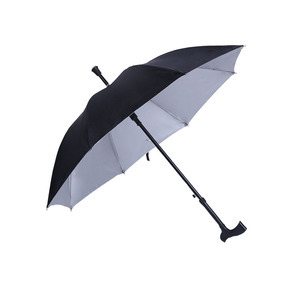 DM8014 NAME 3 fold umbrella SIZE 21inch(53.5cm)*8K DETAILS 170T Polyester,Metal frame and shaft,plastic handle MOQ 2000pcs PACKING 1 pc/opp bag ,50pcs/ctn, Carton size: 105*35*25cm View More ITEM NO. DM8045 NAME Wine bottle umbrella SIZE 21inch(53.5cm)*8K DETAILS 170T Polyester,Metal Frame and shaft,Plastic handle,with a bottle MOQ 500pcs PACKING 60pcs/carton ,carton size: 30*30*48cm View More ITEM NO. 2. Always leave your walking stick umbrella open to dry. 3. As with all umbrellas, strong guts of wind can cause frame damage. 2) Reasonable and competitive factory price in China. OEM is welcome Just give us your specification or pictures,we can do as per your artwork and also we can design for you. Quick response We do reply within 24 hours, welcome your e-mails anytime. Contct us Annie Sales Blueprint Umbrella Co. Inspection report is available before the shipment. 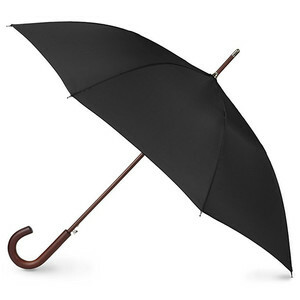 3:Quality- Every umbrella will be inspected before packed in master carton. 4:Delivery time- We ship strictly on stipulated time. 2. 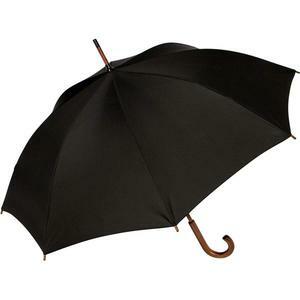 We are experienced --we have been producing umbrellas for 22 years and are able to produce almost all kinds of umbrellas. 3. We are professional --we have our own patents, inventions, our designers and sales team are professional. Other port is negotiable 5. Logo We have our own brands, if you like, you can use it or use your own Logo. 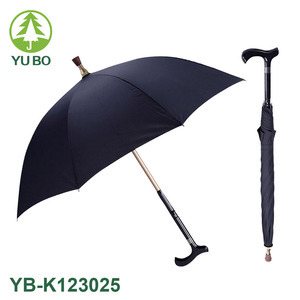 2 YRS Jinjiang Yun Shang Umbrella Co., Ltd.
Alibaba.com offers 1,555 walking umbrella products. About 82% of these are umbrellas, 1% are patio umbrellas & bases, and 1% are event & party supplies. 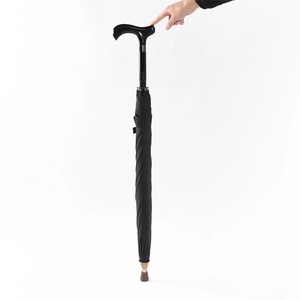 A wide variety of walking umbrella options are available to you, such as polyester, bamboo, and plastic. You can also choose from free samples, paid samples. 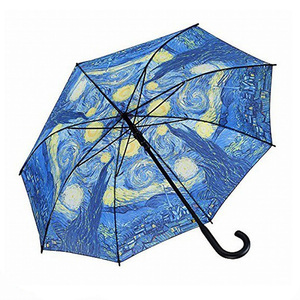 There are 1,555 walking umbrella suppliers, mainly located in Asia. 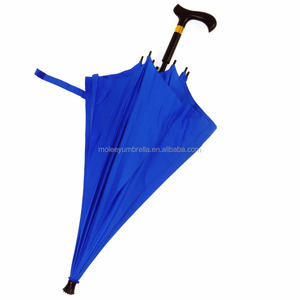 The top supplying country is China (Mainland), which supply 100% of walking umbrella respectively. 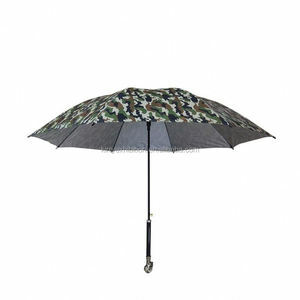 Walking umbrella products are most popular in North America, Western Europe, and Eastern Europe. You can ensure product safety by selecting from certified suppliers, including 412 with BSCI, 325 with Other, and 262 with ISO9001 certification.